Camp Half-Blood. 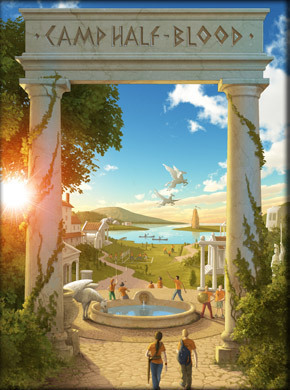 Official Camp Half-Blood picture as released Von Disney Hyperion. Wallpaper and background images in the Helden des Olymp club tagged: the heroes of olympus the lost hero camp half-blood. This Helden des Olymp photo might contain straße, stadtszene, städtische einstellung, stadt szene, städtische umgebung, szene mit straße, stadt, and städtischen einstellung.